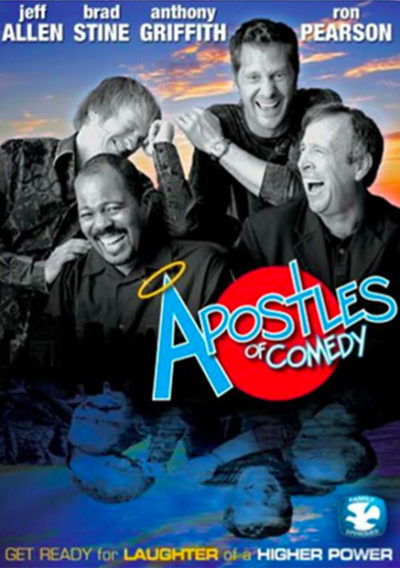 Apostles of comedy is an interview mix of four comedians and the exploration into their lives as men of faith and how they express their faith through there comedy. The film is a weave of live performances and documentary footage following the comedians on stage, in there homes, churches, and in a ” no-holds-barred” conversation. Apostles of comedy gives viewers a deep appreciation for the way these me has gone against the grain of mainstream comedy industry. When the comedians are in front of an audience, there are no cheap or crude jokes. These men make there living with carefully and cleverly crafted comedy that brings honest and laughter without shame or guilt. While their humor may be squeaky clean and imbued with faith and inspiration, it never loses its edge, makes it relevant.